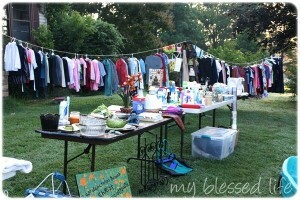 Everyone loves a good garage sale, and it can be a great way to bring in a little extra cash. I love the feeling of getting rid of old clothes and junk that I didn’t even know I didn’t need. If you’re moving into a new house, this is the perfect time to clean out the clutter, especially if you’re downsizing. Be careful, though! If you don’t do it right you’ll just end up with a wasted weekend and large Goodwill run. Know beforehand what you will sell. If you don’t have it planned out ahead of time, you can end up wasting time rummaging through your closet the day of the sale. If you plan ahead you can even pick up hand-me-downs to sell from friends and family. Think about the golden rule of reducing clutter: If you haven’t used it in a year, you won’t miss it! 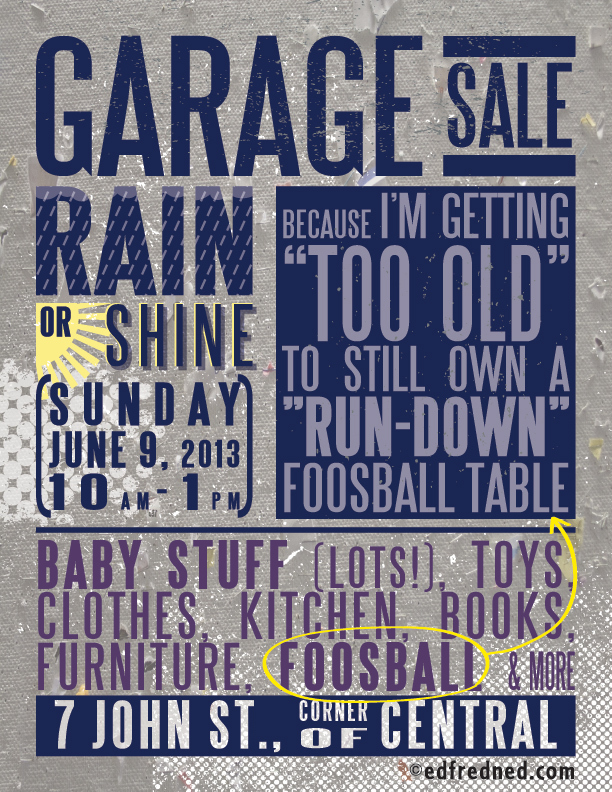 Something that most people don’t consider when having a garage sale is the local laws and policies regarding sales. Each city and town- Including Veneta- has different regulations for them so be sure to check your town’s website and find out if you have any specific laws to follow. Some areas will require you to fill out a permit, which is usually very easy and affordable. 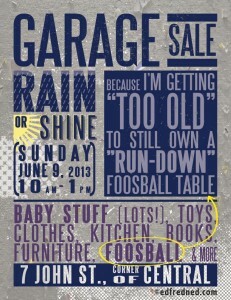 Other towns will simply have limits on how many days per calendar year you can hold a garage sale. Make sure you look up the rules that apply to your town. Let everyone know the date, time, and address of your sale. If you decide to put an advertisement out on Craigslist or in the classified section of your local newspaper, make all of your details as clear as possible and describe any large or more expensive items that you will be selling. Set a date and time and stick to it. Post well-made signs and posters around your neighborhood and put posters with arrows at major intersections leading to your house (especially if it’s harder to find) Make your posters sturdy and legible as well as eye-catching! Remember- you’re trying to get rid of this stuff! Don’t price your items too high, but at the same time, be prepared to negotiate. You will always have people that try to barter (even if it’s priced at 7 cents on the dollar.) Don’t be afraid to play along; haggling can be a fun experience, and you’ll likely make a lot more sales if you’re willing to reward these bargain hunters. Everything you sell is something you didn’t want anyway, so getting even a little bit of money for it is a bonus. If you are smiling and approachable, your customers will feel more comfortable. Be quick to help them and be attentive to their needs. Put on some music to make your sale livelier and even consider selling drinks or baked goods. These little ‘extras’ can draw more neighbors in and keep your customers staying longer. Don’t just throw things in a box that everyone will have to dig through. Borrow some tables from the neighborhood and see if you can’t find a nice rack to display your clothes and keep them looking nice. Wash all of your sale items before you display them. If your stuff looks clean, people will be more willing to pay full price! Don’t stress about your sale; have fun! 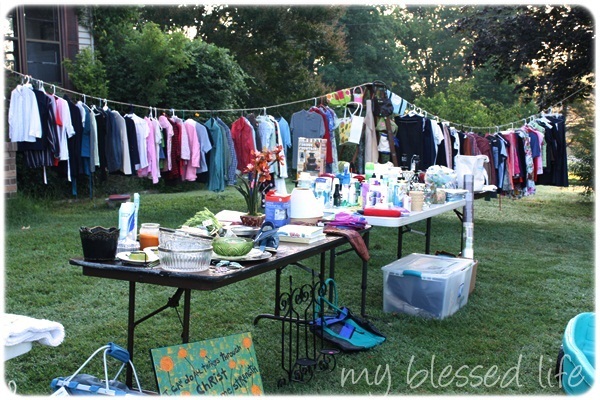 If you follow our tips, a yard sale can be a great way to get rid of unwanted clutter while making a little extra cash. The Song Real Estate team is waiting to help you buy or sell your next home. Call us today for advice on all things Real Estate!